Although I am known for being a merc, I am also the proud owner of a priest. For a long time I have struggled with which tertiary job to choose. I strongly believed that Saint was an obvious choice due to their overwhelming DPS and Support abilities. However now the gap has been closed quite a bit. With the duo-ultimate system, the Inquisitor finally lives up to his role. As with my destroyer build (found here), I have optimized the Inquisitor based on the versatility that the duo-ultimate system gives us. 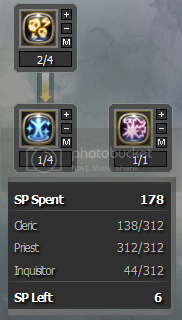 Notable Choices: Heal is not maxed to optimize the SP usage of the Priest class. Comments: Explained later in the guide. The duo-ultimate system takes away some negative things about this class, and gives them two amazing skills. Inquisitor now has Miracle Hand, and a potent Healing Hand. Simply put, the duo ultimate system is used to bypass the level 5 requirement of Electronic Detonation and save the player 16 Skill Points, which are invested into a more worthy skill: Healing Hand. I have chosen Healing Hand in build because I feel that healing abilities are what made the Saint superior. By obtaining a more worthy healing skill, I feel that Inquisitors have become a much more efficient support class with the added ability of abusing the shock de-buff. In group pvp this translates into a very versatile and very dangerous killing machine. However proponents of other game-play styles are free to distribute the skill points wherever they may feel something is lacking. Why reduce the skill points from Heal? I feel that Heal is one of those skills with poor growth. 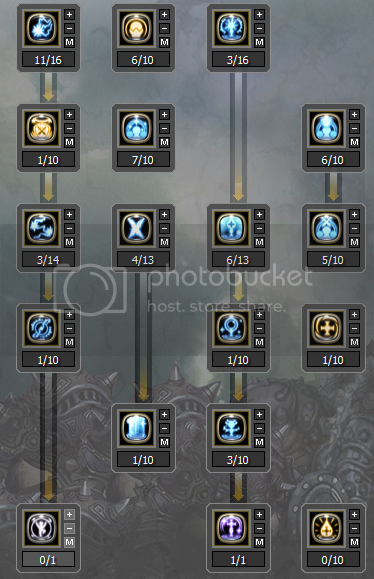 If you want a stronger heal skill consider removing the desired skill points from block (not recommended) or getting a Heal plate. 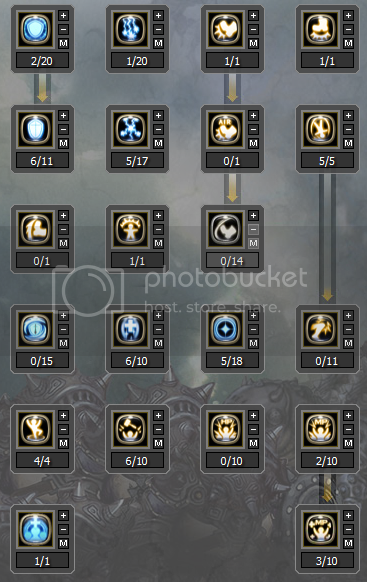 Alternative builds may feature Heal at level one to opt for a more potent block skill. Although this is my personal preference, alternative builds can vary depending on what purpose they were designed for.